Wendy “KooZie the #SWEP_R” Casimir was born in La Gonave, Haiti on August 17, 1990. Six years later, his family came to the U.S. and took root in Tampa, Florida. Casimir proved to be a determined learner, taking on English as his second language as well as gifted classes. During this time, he discovered his passion for music and began exploring his talents in church. Singing as well as composing music for his choir, eventually Casimir learned how to play the drums and keyboard. He even built a recording studio out of his home. Still academically driven transitioning into high school, Casimir began to take his potential music career more seriously by finding a professional studio and learning industry standard programming. He went on to become drum line and band captain at his school. Casimir’s talents weren’t exclusive to music, however. With a natural inclination for sports, he played on his school’s basketball team while juggling homework, band, and basketball. Aside from holding various customer service jobs, Casimir taught Beginners Drums at the Burgess Music Studio. In 2008, he formed his first musical group, Prime, where he produced and rapped under the name T-Wen, giving new life to the nickname he was given as a child. As high school came to a close, Casimir was accepted into the University of Central Florida where he would major in business administration and even management. He graduated high school 17th in his class with a 4.9 weighted GPA. College life proved to be a pivotal moment in Casimir’s adult life. The exposure to parties, alcohol and marijuana proved to be too much freedom for the honor student who was once voted “most likely to succeed”. Casimir lost his scholarship before the start of his sophomore year, but never lost sight of his calling to music. His girlfriend at the time nicknamed him Cheddar, which he took on as his new stage name; using his portable studio and performing locally, he continued to develop his craft. When Casimir’s parents split in 2009, he left UCF and relocated with his mother to Atlanta, Georgia to attend the Art Institute of Atlanta for Musical Production and Graphic Design. Wanting to regain his independence, he made the decision to return to Orlando and continue his education at UCF, now as a hospitality major. Casimir made his comeback strong as a YMCA site coordinator for two middle schools in the area. Capitalizing on the opportunity to enhance Orlando nightlife, Casimir and close friends joined together to promote parties as a group called EPIC Entertainment. Still struggling with his personal demons, finances and a lack of interest in school, Casimir once again left UCF only to attend Valencia Community College for audio production and technology. In 2011, he moved to Texas to pursue an opportunity with Houston based musical group, Chilrenz of Da Korn. There he continued to study music, philosophy and theology independently. He began to grow in his spirituality and refine his sound and style. When his time in Houston was up, he returned to Tampa to look for work. He rededicated himself to GOD and became head of the fund-raising and music and entertainment ministries at his church. He continued to make inspirational music and remain faithful to his life’s mission. Around this time, Casimir co-founded a production team called A0 LoverS Music Group with business partner and close friend, Lavaughn King. The team would eventually fall apart due to conflict of interest, but he continued networking with local artists, all while working full time for Air Culinaire Worldwide. His year with the company allowed him to understand his destiny was bigger than corporate settings. Casimir took that time to dive deep in his studies and change the direction of his future. As for his love life, Casimir married his longtime friend Endia(Cooper). After their untimely split, he felt called by GOD to return to Atlanta to establish his music career and pursue his dream more earnestly. As fate would have it, on his first drive working for Uber, he met Kevin Miles, who would become his advisory and transform the direction of his image by changing his stage name to KooZie—a word Casimir used to replace "cool". 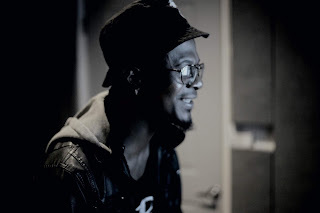 Casimir’s hope for the future is to continue to seek GOD by doing His will, perfecting his gifts, and changing the industry with what he refers to as “conscious, unique, versatile music”. In his drive towards success, he released his first full musical project titled, What the Industry Missed, and signed a short-lived distribution deal with Universal Music Group as a result. During the time with Universal, he release his debut single "Killin' Spree" in 2015, the track this is now finally making it's way into the ear of the masses. Back in 2012, Casimir started the Cheddar Channel Growth Project (now Seven Gates Growth Project), a video diary designed to give others a glimpse into his world as a “#SWEP_R”. Casimir coined this term to describe a super artistic being: singer, writer, engineer, producer and the underscore representing the bottom line—he’s a rapper. In an interview, Casimir described himself as “the forerunner of the new age artistic Renaissance”. Needless to say, he is a multitalented force ready to make his mark in the industry. Now 28 and up on "game", Casimir has created a solid vision for his life and hopes to share every moment with his growing fan base.